A beginner dance class is great training for dancers of all levels. If you’re just starting to dance, then it may be tempting to jump into advanced class. They look super cool and can definitely push you to your limit. But, if you are just starting out it really is best to start from the ground up. Take a beginner dance class! If you are a seasoned dancer, beginner classes are a great way to strengthen the foundation for your movement. A beginner class will allow you to really focus on details of your technique and execution. Not to say that all advanced classes are competitive, but there is a sense of going big. In a beginner dance class, the vibe is a little less intense. The dancer is not trying to kill a piece or impress anyone. Instead a dancer can enjoy the simplicity of the movement and have fun with the other dancers in class. 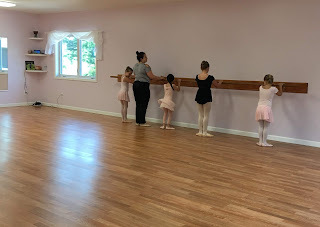 The nurturing, no-pressure environment of beginner dance classes really allows each dancer time to focus on each and every movement. A beginner dance class can challenge dancers to use there muscles and work through the music. The choreography tends to be slower, so dancers cannot get away with faking movements as they sometimes do with quick combos. They really have to commit to each move with every muscle they have. Dancing full out never felt so good! 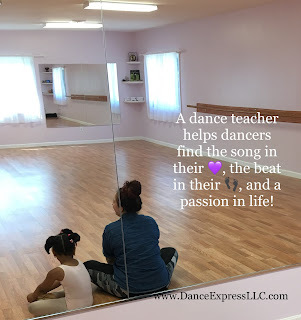 Instead of drilling complicated sequences or trying to retain 12 8-counts of choreography, a beginner dance class offers you the freedom to focus on the freedom of movement. In advanced dance classes, teachers have specific expectations on movement and execution of choreography. In a beginner dance class, teachers often are more flexible with dancers adding their own interpretation and embellishments. Beginner dance classes are all about finding your natural groove! Ultimately, the purpose of beginner dance classes is to have fun while learning the basic foundations of technique and terminology. If a dancer jumps right into advanced classes, they will miss the vital training to truly perfect the art of dance. So take a beginner dance class today!